This four month membership gives you unlimited visits and unlimited sessions at Coolum Aqua Park during public opening hours from 8 September 2018 to 31 December 2018. Valid for one person only, non-transferable and non-refundable. Subject to standard capacity controls. 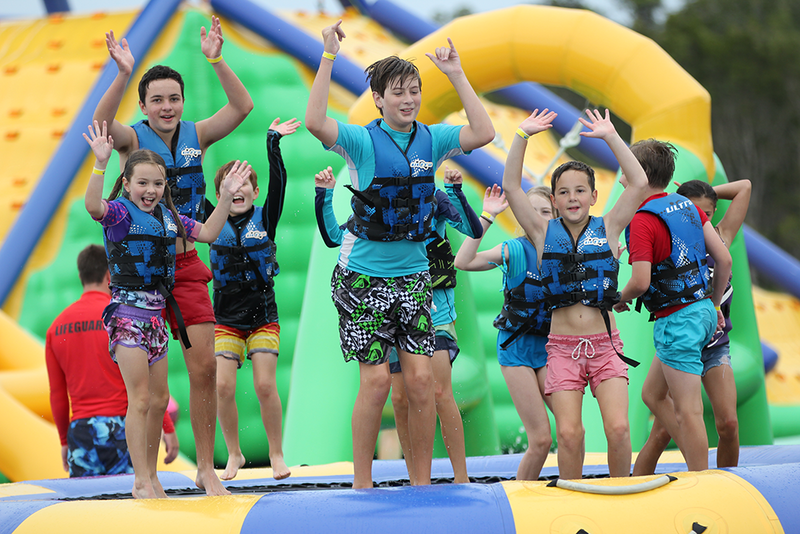 This four month membership gives you unlimited visits and unlimited sessions at Coolum Aqua Park during public opening hours from 1 January 2019 to 28 April 2019. Valid for one person only, non-transferable and non-refundable. Subject to standard capacity controls. This eight month membership gives you unlimited visits and unlimited sessions at Coolum Aqua Park during public opening hours from 8 September 2018 to 28 April 2019. Valid for one person only, non-transferable and non-refundable. Subject to standard capacity controls. This is an eight month unlimited pass at Coolum Aqua Park and Bli Bli Aqua Park from 1 September 2018 to 28 April 2019. The purchaser is entitled to access to all open Aqua sessions and days during the period. Take this receipt to either the Coolum or Bli Bli Aqua Park the first day you want to use it and a membership card will be arranged for you. Valid for one person only, non-transferable and non-refundable. Subject to standard capacity controls. Purchase the membership you want, print the voucher and take it to the park when you first visit. You don't have to use/validate it on the day you purchase the membership.